The challenge remains today to find the most effective strategies for getting consumers to first take notice of then ultimately buy into your brand. Think about the considerable marketing fails that occur through TV, radio, print, and similar types of advertising. This proves that consumers today prefer a more personalized approach to brand interaction, so the stir in the industry about wasted marketing dollars not reaching its target audience is warranted. Direct-to-consumer marketing meets many of the needs of today’s consumer, but still requires a focused approach to stand a chance at securing a high return on investment (ROI). That focus must begin with quality targets and lists that reflect the precise characteristics of a company’s consumer; this means organizations must have an idea of what their consumers look like. This sounds so simple, and it’s a rule that any marketer should know. But it’s also a rule that needs to be constantly repeated before beginning any type of direct marketing campaign. Marketing lists are great only if they reflect your ideal targets, meaning work needs to be done before considering any lists. What is your consumer’s geographic location? Does your consumer have a family? Does your consumer own a home or rent? Do they make purchases by credit card? Do they shop online or prefer in store? Acquiring this information may be a bit difficult depending on the resources you have as a company, but every company needs to dig deeper than the age/gender specifications if they hope to lead successful campaigns. Perhaps you’re in a position where you are testing for new potential consumers. You may have had hints while conducting other campaigns or the trend is shifting in a different direction and you now think a new audience might be interested in your product or service. This is an exciting opportunity for marketers, where all the information is still vague but substantial enough to look into lists that can garner new customers. Though you’re delving into a new consumer base, it’s still essential to know what those potential consumers look like or what you want them to look like. The rules don’t change, whether you’re seeking new customers or marketing to your current ones. 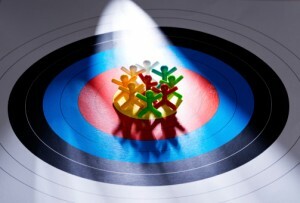 The more you can narrow down who your target market is, the higher your chances of a successful campaign. Macromark takes 25 years of direct marketing experience and infuses that into every campaign we lead. We have a broad range of lists and can help your business narrow down its focus to the precise target. We are a results-driven company and have conducted direct marketing campaigns across a diverse amount of industries. Contact us today for details on what we can do to generate leads for your organization and help you better reach your target audience.